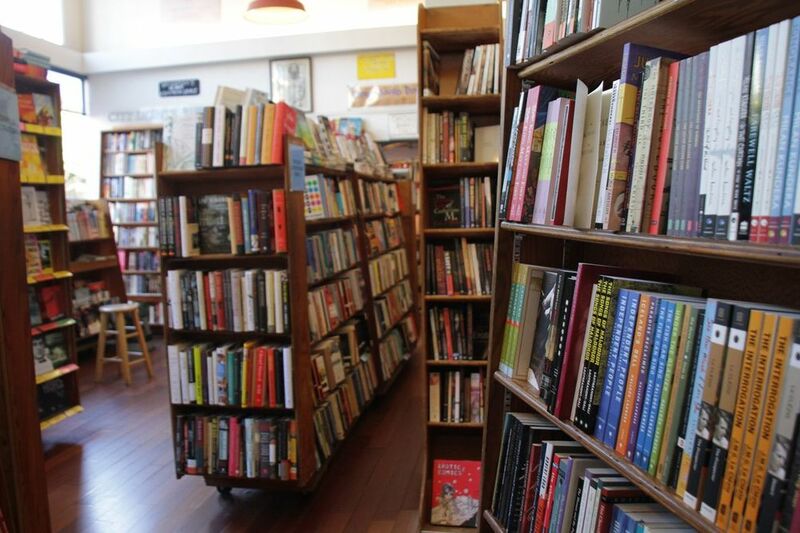 One of the must-sees in San Francisco is the City Lights bookstore. Again limited by our parking meter, but this time with only 30 minutes of time. We stepped into the literary landmark independent bookstore, famous for progressive politics and beatnik-era poetry flourishing. The store felt like stepping into a sort of functional museum, with photos documenting much of the historically significant figures and events, and their relation to the bookstore. Transfixed by the thousands of book titles, which in this age of post-Borders Bankruptcy seemed like such a treat, we could’ve stayed for hours. But, our dinner date across town beckoned us. We left with only mental notes about the next books we want to read. The dinner date which was the last on our agenda for the day was with Loren’s RISD classmate and fellow graphic designer, Jared, and his fiancee Shannon (also a RISD alum), in the super hip Mission District. Once we met up, we set off on what was to become a great night of long walks and good food. Ironically, it seems that we walk more when we’re in cities than even in National Parks. Dinner was near the Castro district, at a place called Starbelly, where Loren and Kristen shared a tomato soup and chicken dish - still a bit full from the ramen from the afternoon, but never able to pass up good food.